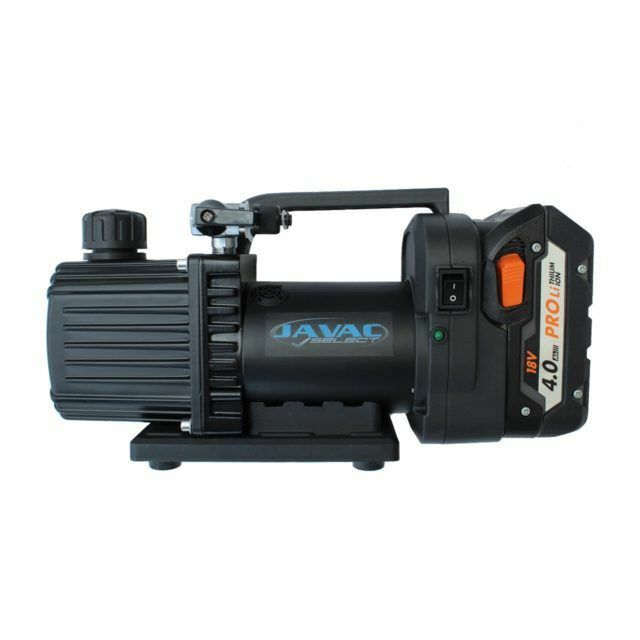 JAVAC battery operated vacuum pump. Battery sold separately. It is the ONLY 2 STAGE battery operated vacuum pump available on the market. A two stage vacuum pump is a standard requirement for refrigeration professionals as it pulls down to a deeper vacuum. This is the perfect vacuum pump for doing residential splits, small commercial service and installs, and also for automotive A/C charging where power supply can be an issue. The cordless vacuum pump comes with standard AEG ready battery fitting. 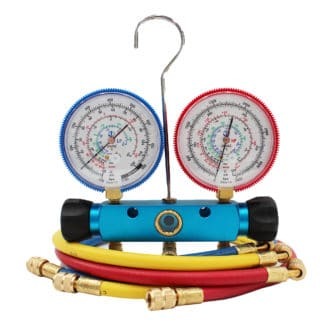 These vacuum pumps have been tested with a fully charged 4ah AEG battery (standard battery connection), lasting an impressive 50 minutes which is more than enough time to carry out an install or service. Designed for technicians who require a two stage vacuum pump that can achieve low micron ratings with the convenience of being cordless. 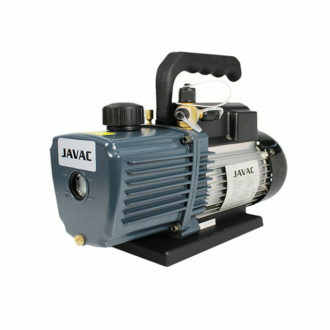 As well as being the only two stage vacuum pump on the market it is very well designed for professional everyday use. 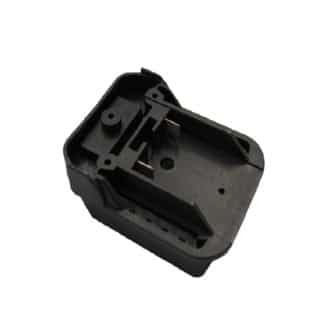 Battery Requirements: Standard AEG 18V (Bosch or Makita Option with adapter.) Battery sold separately.